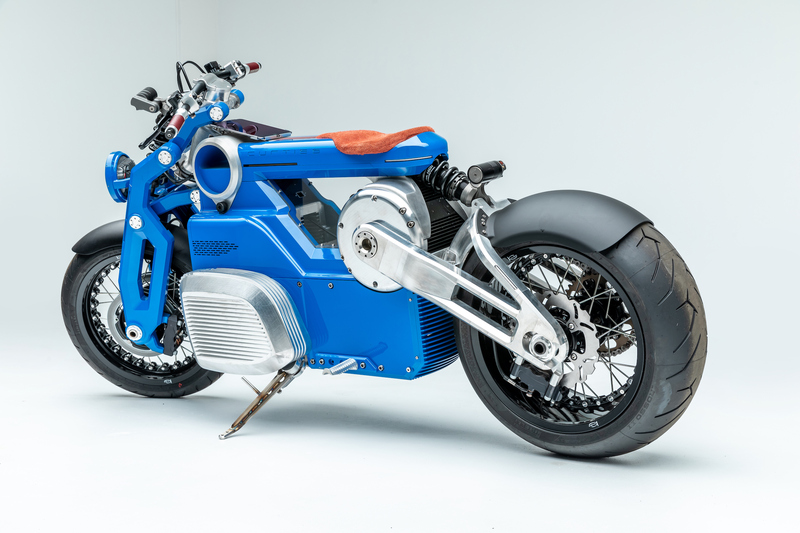 The Curtiss Zeus is a new electric motorcycle from the company formerly known as Confederate Motorcycles. 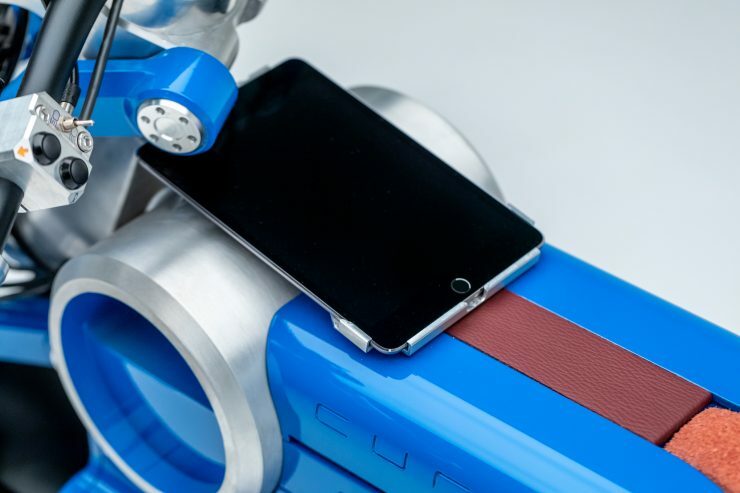 It has a 0-62 mph time of 2.1 seconds, a 140 kW motor (190 bhp), 145 ft lbs of torque, and a range of 280 miles. 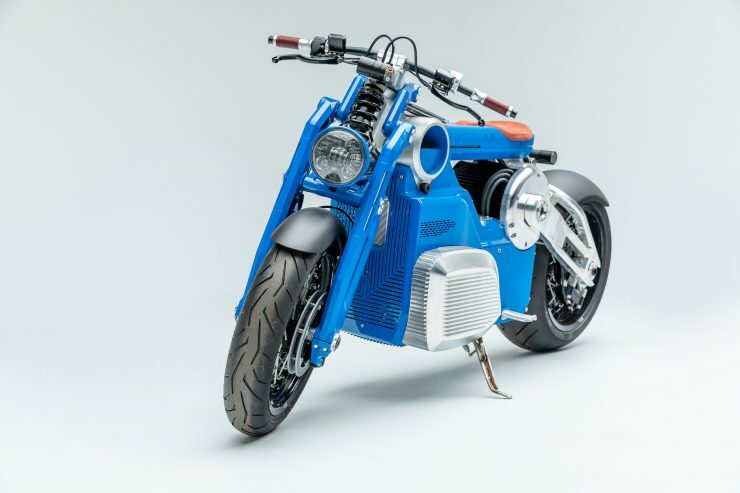 Confederate changed their name to Curtiss in 2017 and announced a pivot from producing gasoline V-twin motorcycles to producing high-end electric motorcycles in partnership with Zero – an already established electric motorcycle marque. 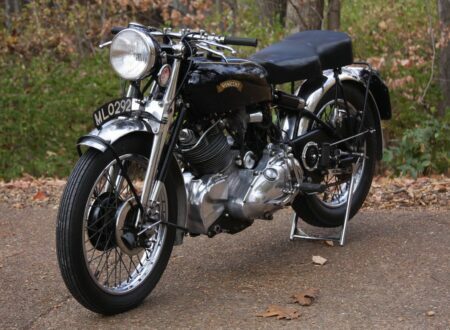 The name Curtiss will be immediately familiar to anyone with an interest in motorcycle and/or aviation history. Glenn Curtiss was an early motorcycle pioneer, he developed the first American V-twin engine for one of the motorcycles that bore his name, and in 1907 he set a world record of 136.36 mph riding a 269 cu. in. 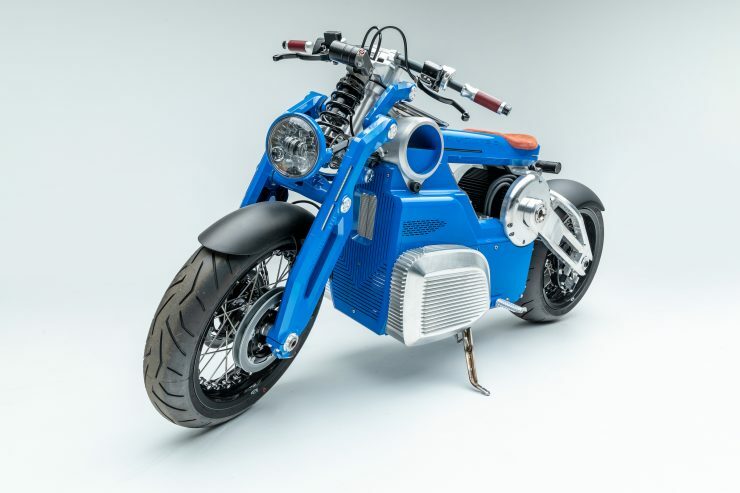 (4.4 litre) V8 motorcycle of his own design on a beach in Florida. 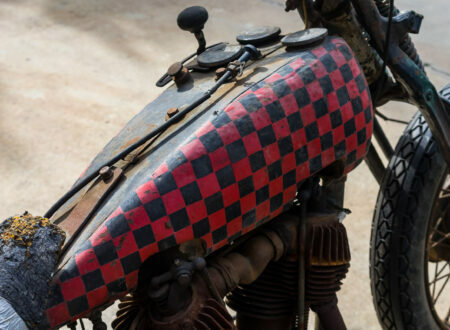 The newspapers dubbed him “the fastest man in the world” and he would remain such until the record was broken in 1911, that said, the motorcycle land speed record would stand until 1930 – an astonishing 23 years later. Glenn Curtiss would later get into aviation, designing a series of early aviation engines and complete aircraft. Curtiss become a test pilot, he won air races, won prizes for high altitude flight, and he piloted the first pre-announced public flight of a heavier-than-air flying machine in America. The new Curtiss Motorcycles is based in Birmingham, Alabama. 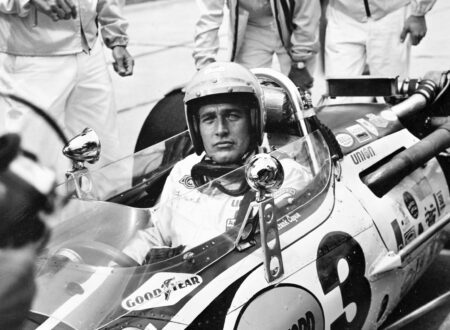 It’s run by H. Matthew Chambers who is both CEO and the Chairman of the Board, Chambers is a 30 year veteran of the luxury automotive and motorcycle industry. 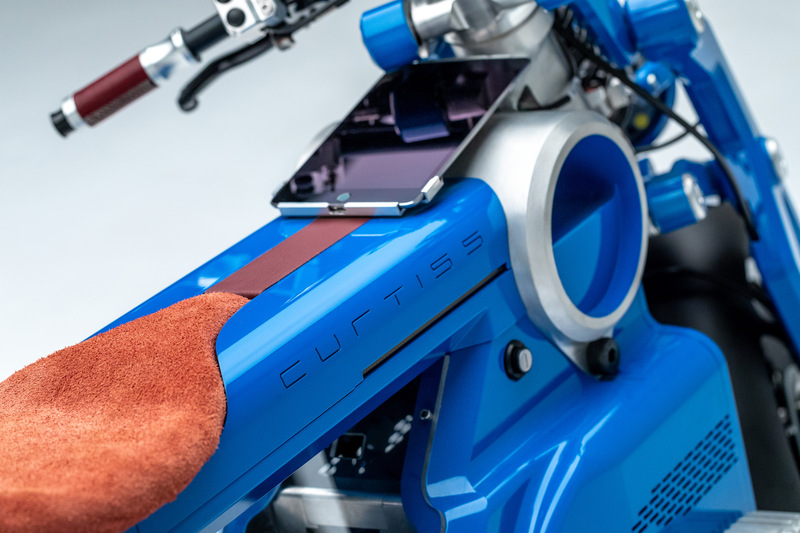 The new electric motorcycles produced by Curtiss will be amongst the fastest electric motorcycles in the world (if not the fastest outright) if the current specification sheet matches the production bike. 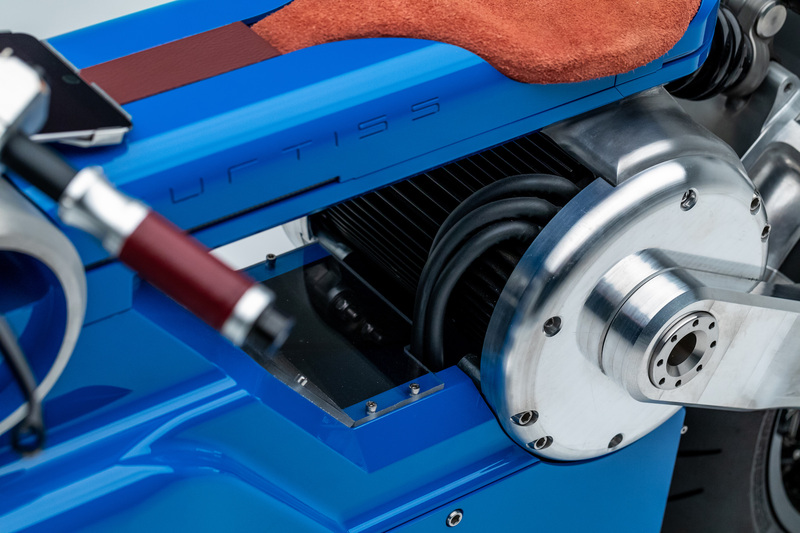 The Curtiss Zeus is being offered in two primary versions, the Zeus Cafe Racer, and the Zeus Bobber. 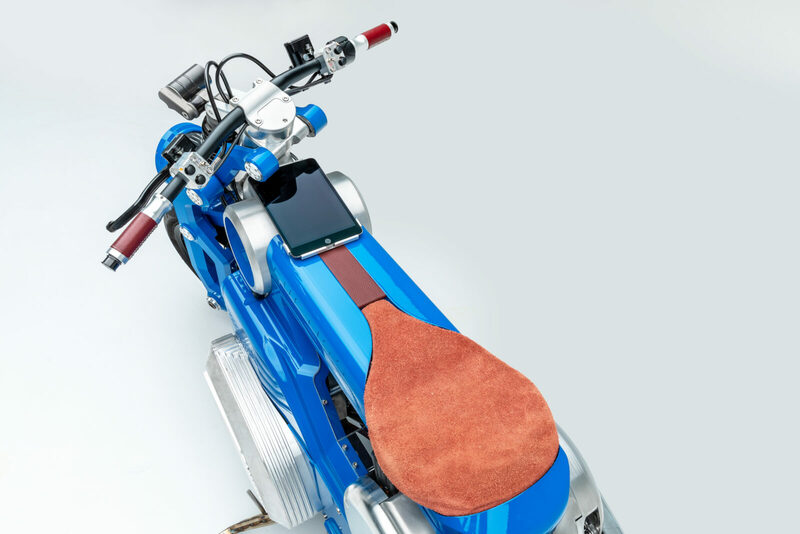 Both have an MSRP of $60,000 USD and a 10% deposit of $6,000 USD is required to place an order. The motorcycle you see here is the Zeus concept prototype that was named “Most Innovative Motorcycle” at the prestigious 2018 Quail Motorcycle Gathering, it’s a test-bed for the future production motorcycles and the DNA link between them is immediately clear. 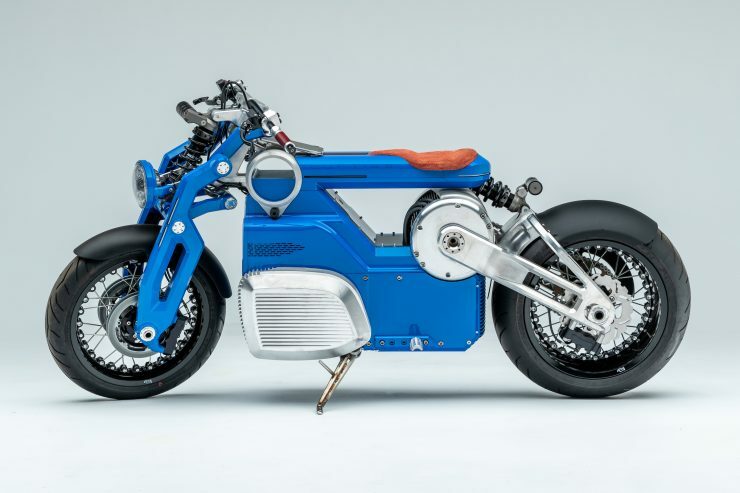 The construction of both the prototype and the production versions of the Zeus use a machined modular 6061-T6 aluminum monocoque with a carbon fibre fuselage and a clamshell vault battery housing. 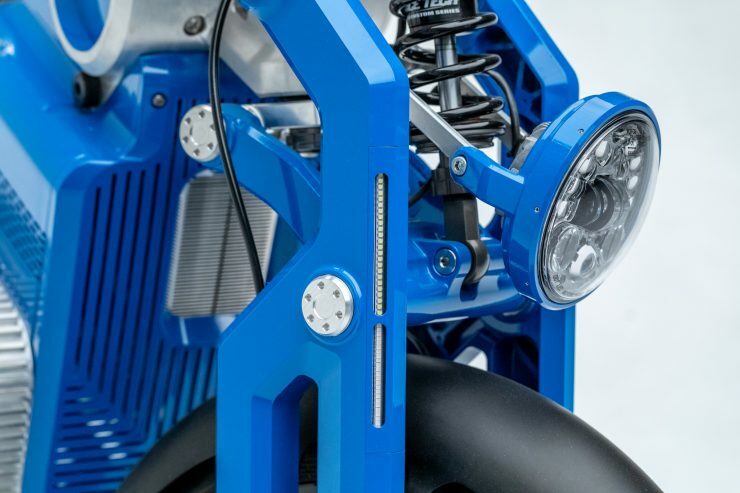 The front suspension is of a girder type, it’s fully adjustable for high and low speed compression and rebound damping. 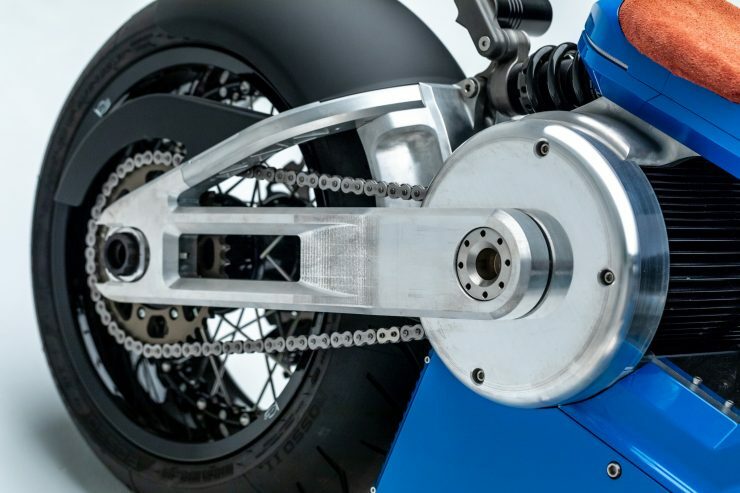 The rear suspension utilizes a machined 6061-T6 aluminum swingarm with a centreline cantilever monoshock that’s fully adjustable for high and low speed compression and rebound damping. 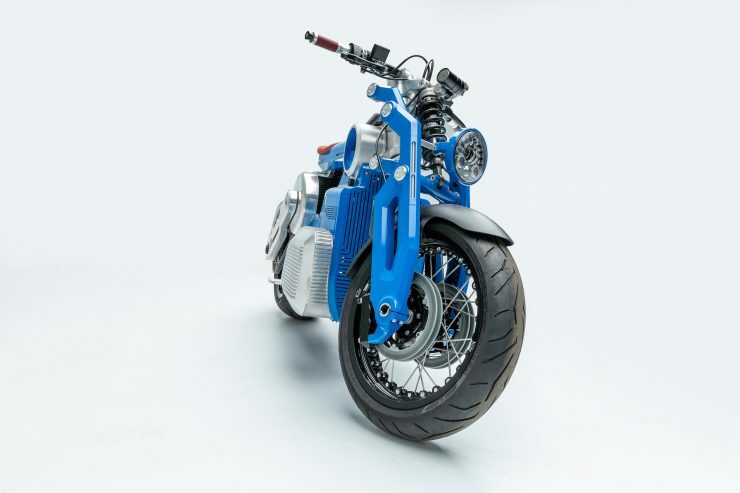 The battery and electric motor specifications aren’t yet publicly available, however it’s probable that the Zeus uses a custom-built lithium-ion battery pack and a three-phase, brushless electric motor that directly drives the rear sprocket via a chain final drive. 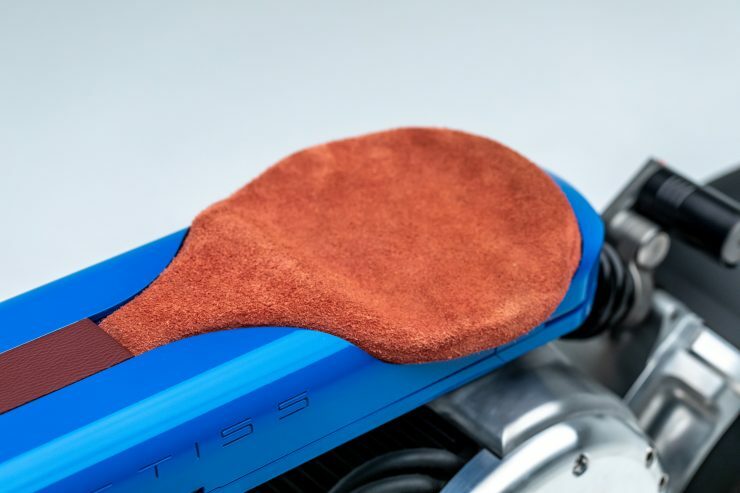 Electric motors produce 100% of their torque from 0 rpm, a significant advantage over internal combustion engines, so many electric vehicles (though not all) do away with the gearbox all together. 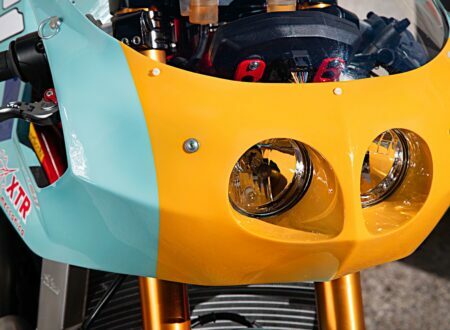 Given the 140 kW (190 bhp equivalent) and 145 ft lbs of torque being produced by the motor and the size of that rear sprocket, the 0-60 mph time of 2.1 seconds isn’t surprising at all. 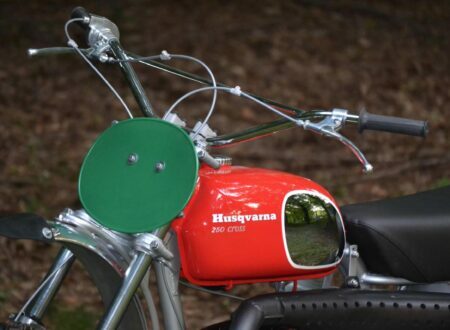 In fact it’s likely the only thing stopping it from being quicker is the limitations on grip faced by the rear tire. Keeping all this power under control is a pair of 230mm Beringer 4D floating cast iron disc brakes with four piston, radially mounted 4D calipers on the front, with a single 240mm cross-drilled stainless steel disc in the rear with a radially mounted Beringer Aerotec caliper. Tires are Pirelli Diablo Rosso II front and back, with a 120/70 ZR 17 unit on a solid carbon wheel up front and a 240/45 ZR 17 unit on a matching carbon wheel in the rear. 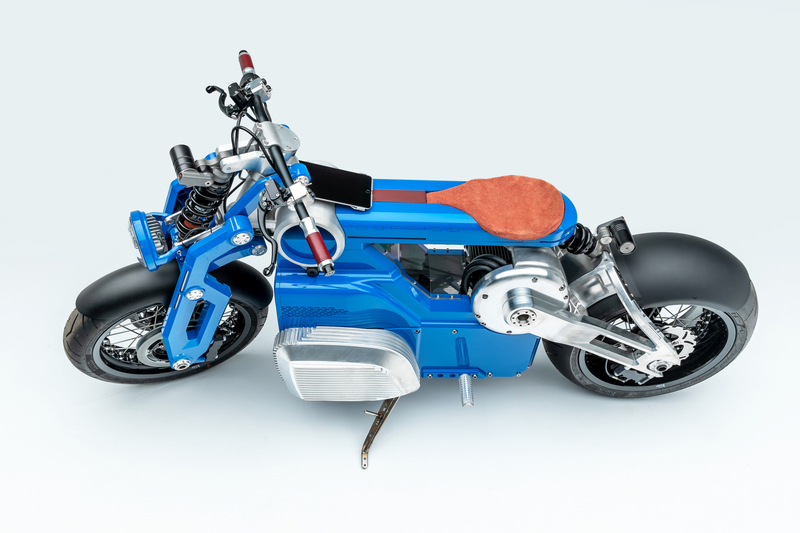 The total weight of the bike is 475 lbs and there’s obviously no difference in weight based on fluids, as electric motorcycles don’t require coolant, oil, or gasoline. 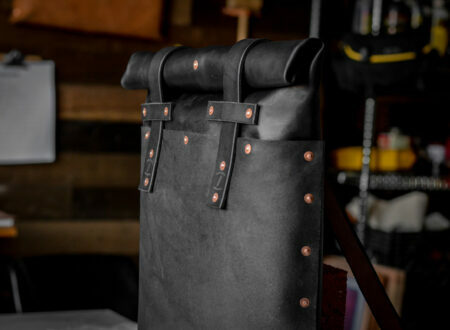 Production is due to begin in early 2020, less than a year from now, and the order books are currently open. 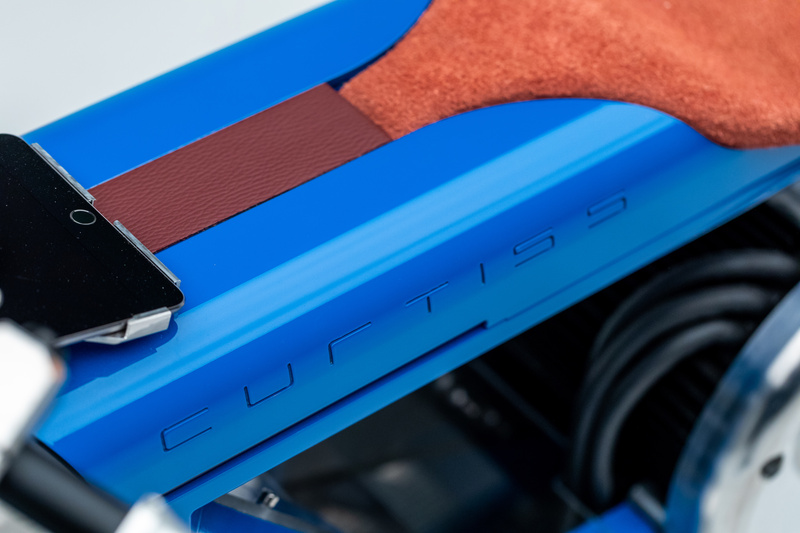 If you’d like to visit Curtiss and order yours you can click here. If you’d like to see the Zeus prototype in person you can visit the Petersen Automotive Museum in LA as part of the Electric Revolution exhibit from April the 6th, curated by Paul d’Orleans.